I think that everyone knows that I LOVE working with Stokke. I'm a Stokke mum through and through and had already bought into their philosophy before I started working for them seven years ago. I love being one of the first to know about exciting new products and I'm really proud of Stokke Lovers, the online community that I have created for other Stokke obsessed parents. A new purple Tripp Trapp. Tripp Trapp is an amazing product. It's so much more than a highchair and due to it's adaptability it can be used by the whole family - and I mean the whole family. FunnyGirls best friend is the daughter of an ex England Rugby player and he is big, but when he comes to my house he sits on Tripp Trapp along with the rest of us! 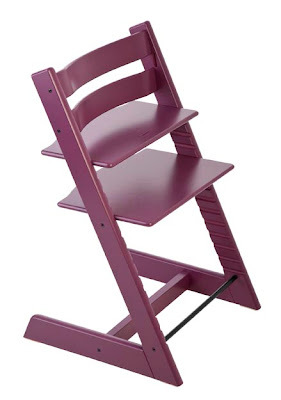 The new purple Tripp Trapp is available from September. If you own anything Stokke do join our Facebook page and follow the StokkeLovers blog. 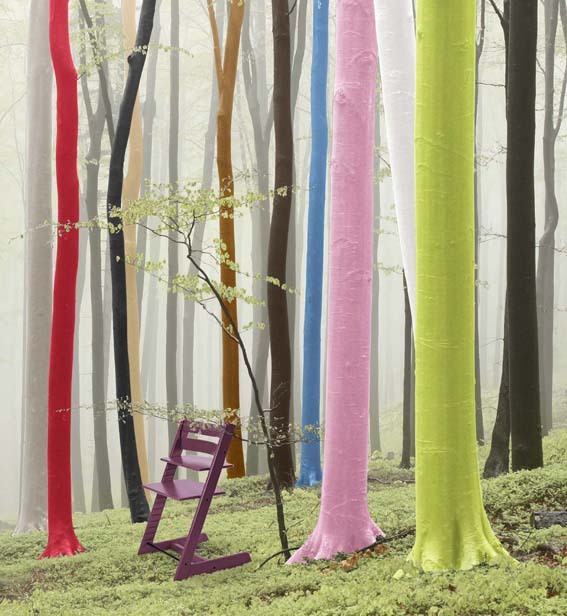 Did you know that each Tripp Trapp is formed from the Tripp Trapp forest of coloured beech trees - each one waiting patiently waiting to be lovingly crafted into the latest addition to your family?! Love the purple! It's my favorite gender neutral color! Would it be wrong for me to want one even though my children don't need one? we have this in black and have loved it! although at some point we moved away from having our kid eat at the table with us and now he eats on an ikea stool over in the kitchen. the stokke is put away until we have another little rugrat.